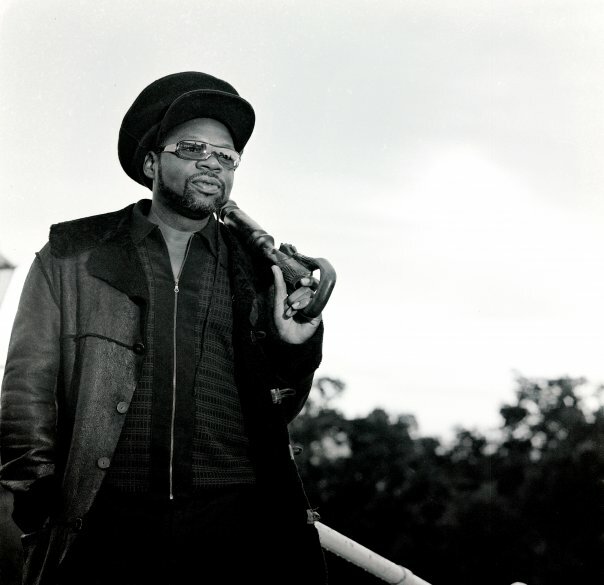 Jazzie B – A Conversation with the original Funki Dred on life after Soul 2 Soul! To describe the work and knowledge this pioneering DJ, music producer, fashion designer and soul music authoritarian has done over his four decade strong career would take more than this interview. What Jazzie B has done and continues to do for the British soul music industry is the stuff of legends really and quite fittingly so as he is indeed a legend himself. More than just the founder of 90’s supergroup Soul II Soul, Jazzie B wears a great many titles under his sole passion of music and creative ingenuity. This Hornsey London born native is the ninth of ten children born to parents of Antiguan descent. 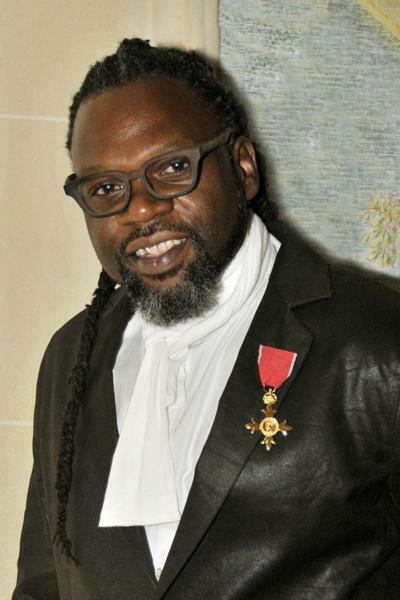 Trevor Beresford Romeo OBE ( appointed Officer of the Order of the British Order by Queen Elizabeth II in 2008) aka Jazzie B was raised in a home flooded with music and began running sound systems in the late 60’s early 1970’s working under the name of Jah Rico. Gaining his first gig in 1977 with friends they soon amassed a following that eventuated in a name change and a game change as Soul II Soul in 1982. The group itself went on to shine a light in the UK soul sound system movement and with Jazzie as its captain, he steered the groups success through the late eighties, early nineties right up until present times, their music standing ground as one of the most important and influential sounds behind the emergence of neo soul from a British perspective. 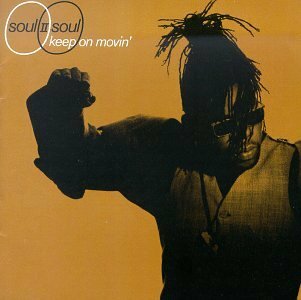 Jazzie, along with Caron Wheeler and MC Chikaboo, whom are still current members of the Soul II Soul movement went on to create some award winning music and albums, giving the world hit after hit with “ Back to Life”, “Keep on Moving”, “ A Dreams a Dream” and many more. Gaining massive success and accolades in the UK, the Soul II Soul sound reached the globe and hit the America’s hard reaching Top 10 and certified platinum status of their “Back to Life” album. 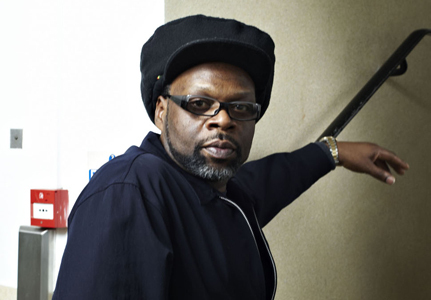 The vision Jazzie B had for how far his sound system movement would reach has cemented itself as one that is still necessary to the foundation of the UK soul industry and was echoed at the Ivor Novello Awards in May 2008 where he was awarded the first Inspiration Award for being “the man who gave black British music a soul of its own”. Yet Jazzie is more than Soul II Soul and is heralded as one of the country’s top music producers to date. With his signature style and sound Jazzie has worked his magic on remixes for the likes of Maxi Priest, Public Enemy, Johnny Gill, Isaac Hayes, Nas and Destiny’s Child to name a few and has produced and presented various artists compilations including Jazzie B Presents Soul II Soul at the Africa Centre ( 2004 ) and Masterpiece ( 2008) to name a few. He is also the founding director of the Featured Artists Coalition and in recent years has taken to teaching students through various talks, Q&A’s about his life and the adventures of Soul II Soul all over the country, has lectured at Cambridge University and addressed the evolution of global music at Manchester’s annual In the City music conference. In addition to this he has also spoken extensively about sound systems and sound system culture for the Red Bull Music Academy and taught music and music technology at Jamie’s Dream School for the UK’s Channel 4 in 2011. How does one man pack all of this into one life? Quite simple really, for Jazzie B it’s always been about the journey music takes him on and not the destination. Not one to be swayed by the trappings of fame and the high life, Jazzie focusses on the art of giving back to the youth through music and his successful and vibrant fashion and culture brand “ The Funki Dred”, which continues to grow each season under the creative guidance of Mr B. Launching his Classics Collection in London’s high end department store Harvey Nichols in 2013 has given the brand a definitive edge as it presents a collection of high end, raw, handmade pieces that inspire a ‘do it yourself’ energy of his early sound system days. 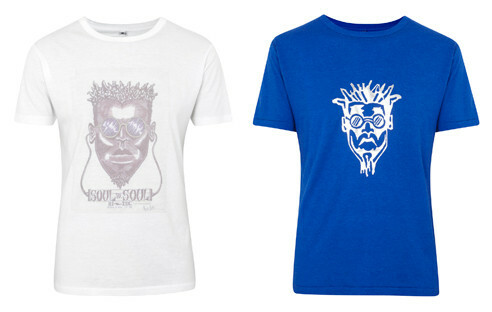 Funki Dred and Jazzie B’s aesthetic remains fully global. His original passion of djing continues to flourish with a packed schedule of shows, events and international roster gigs playing out as far as the USA, Dubai and Croatia, Jazzie can also be found on the 1s and 2s rocking prestigious events such the Lovebox Festival; the Southport Weekender; and the Red Bull Music Academy Culture Clash at London’s Roundhouse to name a few. 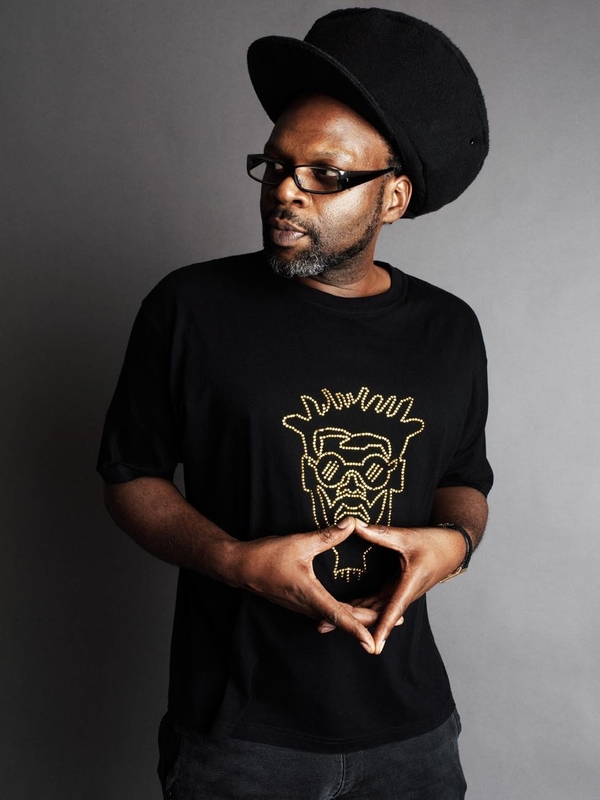 As the master of his domain, Jazzie B meanders effortlessly through the impressive sound system empire he began building back in the late 70’s to the powerhouse of fashion, production and entreprenuerealship it has become today. He is a living testament to the adage of working hard and being rewarded for your efforts as all Jazzie B has done under the Soul II Soul umbrella and as an individual has been not only for the improvement and betterment of music but for the culture and livelihood of all who live by his mantra” a happy face, a thumpin’ bass, for a lovin’ race”! Thanks so much for your time Jazzie – such an honour speaking with you ….. How are you and how is life? I’m doing really well thank you, great to speak with you as well Ms Hennessey. Jazzie you have been at the helm of the soul movement in the UK for close to three decades and of course the founder of the incredible Soul II Soul, which has truly been a gift to the music world. For those that may not know your history and how you started off can you please share with us how you would best describe Jazzie B the man and Jazzie B the artist and what the creation of Soul II Soul meant to you and your vision? It’s weird because every time I’m asked that question it’s always interesting to put it in perspective from my point of view. When we started out making that sort of music it was all about what was affecting our lives at the time and I guess with the concept of the sound system we just really wanted to sound different and it was important for us to be seen as an original and unique collaboration and to come up with our identity in the realms of everything that was going on around us. Creating the sound and vision of Soul II Soul was all about authenticity, identity and given the music industry something they had never experienced before at the end of the day. Jazzie B has also produced and remixed tracks for The Fine Young Cannibals, Incognito, Maxi Priest, James Brown, Kym Mazelle, Rose Windross, Cheryl Lynn, Public Enemy, Johnny Gill, Caron Wheeler, Isaac Hayes, Sinéad O’Connor, Teena Marie, Ziggy Marley, Yorker, The Jones Girls, Nas, and Destiny’s Child. As a DJ and producer, what do you find yourself being more pulled towards these days, especially with the fusion of so many genres? My first love is djing and even though djing and production do go hand in hand, but I really do enjoy djing so much I have to say. I just purchased a whole bunch of vinyl recently so I am really looking forward to ploughing through all of that (laughs) … so yeah things like that still excite me you could say. When I do come in front of a musical project that interests me on a creative level then you will have the production side of me kick in but on a scale of 1 to 10, yeah djing wins (laughs). The UK urban music movement has always been a vehicle of its own, devoid of comparison to its American cousins, it stands alone in its sound, artistry and above all else its authenticity. What would you say are the attributes that make the UK music industry such a unique and forceful entity on the global stage? Well obviously I think fundamentally it’s the society that we living in, in regards to the reflections of who are and what you are surrounded by, in a strange way are what make the UK sound so unique. I am not a fan of the term “urban” to be honest from a black perspective as what happens in the UK is really attributed to everything that’s around us and we thrive off being innovative and creative and you know sonically the sounds are, when soul II soul came in, we had the jungle scene which is now drum and bass, we’ve had the grime scene and the garage scene and just mish mashes of musical ideas that pretty much just come into their own. That is really what happens here in the UK and it’s something we are really proud of. Soul II Soul gave depth and meaning to music lovers in the early nineties and a sound that is timeless – What are your thoughts on the soul music industry and its artists today Jazzie? Is there direction or are we grappling at the strings of relevance? I think music evolution is just great and all the technology we have today is so necessary to continue shaping and cultivating music creativity. It is very exciting time for music industry I believe and there are a lot of great sounds coming gout which is great also. Look at how we absorb sound these days and that just shows you how far the music and technology industries have come. I think it is a very exciting time for music right now. What are you working on lately and where can we find you and your sound online? Well funnily enough Caron Wheeler and myself have been working with a new band for the last three years and we have been in the studio lately working on some material together so that will be coming out in March of 2016 so that’s exciting and this month I will be receiving a Q Award (The Q Awards are the UK’s annual music awards run by the music magazine Q and have become one of Britain’s biggest and best publicised music awards) so things are still busy as always for me. Never a dull moment you could say and I still get nervous with these things so that’s a good thing I guess (laughs). How is your Collection and Lifestyle fashion label going for you? The fashion label is going really well at the moment thanks for asking. The last collection we did was for Harvey Nichols in London and it’s going well and of course the interest for the label through my website continues to grow so I am really blessed it is growing and I am grateful for the support. Music and fashion have always gone together and that’s where that inseparable link lies and again it’s a lifestyle at the end of the day. If you met a younger version of Jazzie B today what advice would you give to him and why? Mmmmm the advice would initially be perseverance works so it’s important to see everything through. Don’t give up, believe in what you do and do it to the best of your ability and you have to finish what you start. Your greatest influences and or inspirations? Apart from my family obviously I would have to say artists like Isaac Hayes, James Brown, Barry White, being around people like that have helped to shape the creative part of me, but for all intents and purposes it would be my family really. 4 albums you would take with you into the afterlife and why? Anything from Curtis Mayfield as he is my musical encyclopaedia, I’d have to make a compilation of reggae music I think as that is the backbone to me waking up every day and I think I would make a usb off the internet of all the new music out there right now and I think you might have to come back to me on that 4th album (laughs). What would you say is the greatest lesson music has taught you about life and yourself thus far? It’s taught me a happy face, a thumping base for a loving race to keep on moving.